They have the respect of their (followers, students, readers) because they forgot more about the subject than anyone else knows. A very wise book on Zen Buddhism by Shunryu Suzuki talks about the contrast between Beginner’s and expert’s mind. When I started this I Ching guidance website, the intent was to share my lifetime passion for this venerable oracle with you the reader. The other intent was to start a dialogue rather than to simply share my “expert” view. Recently when I took a new beginner’s mind approach to this website I found a few things missed my original intent. You, the reader, were not included in my “intent”. The “mission” for this website was not shared with you, the readers and visitors to this website. Your telepathy was not on! Can we start over? The answer is yes. Even the most expert among us has the opportunity to free his mind and see things anew with beginner’s mind. Why the I Ching? I was introduced to this ancient text, by my older brother Johnny. When I was a 16 years old he shared his copy of the Wilhelm Blofield version, with an introduction by C F Jung. Immediately I was captivated by Carl Jung’s introduction to this much esteemed “Book of Changes” translation. I have excerpted the opening paragraph here to give you a taste of what intrigued me, reading this paragraph 34 years ago. Please take a few moments and read the entire text by following the link above entitled, Carl Jung’s introduction. “If the meaning of the Book of Changes were easy to grasp, the work would need no foreword. But this is far from being the case, for there is so much that is obscure about it that Western scholars have tended to dispose of it as a collection of “magic spells,” either too abstruse to be intelligible, or of no value whatsoever. Legge’s translation of the I Ching, up to now the only version available in English, has done little to make the work accessible to Western minds.Wilhelm, however, has made every effort to open the way to an understanding of the symbolism of the text. 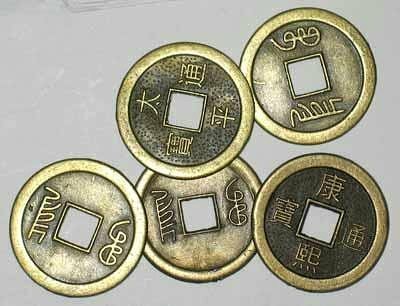 He was in a position to do this because he himself was taught the philosophy and the use of the I Ching by the venerable sage Lao Nai-hsüan; moreover, he had over a period of many years put the peculiar technique of the oracle into practice. His grasp of the living meaning of the text gives his version of the I Ching a depth of perspective that an exclusively academic knowledge of Chinese philosophy could never provide. Why did I start this website? To share my individual appreciation and passion for this venerable book of changes with you. The I Ching is a not an easy text to understand, yet it offers invaluable insight into navigating change. My intention with this website is to provide you the reader, access to my 35 year individual study of remarkable oracle. I think it wise to return to one of the earliest, post James Legge, western translations in order better grasp the importance of this living Chinese text. “I am greatly indebted to Wilhelm for the light he has thrown upon the complicated problem of the I Ching, and for insight as regards its practical application as well. For more than thirty years I have interested myself in this oracle technique, or method of exploring the unconscious, for it has seemed to me of uncommon significance. I was already fairly familiar with the I Ching when I first met Wilhelm in the early nineteen twenties; he confirmed for me then what I already knew, and taught me many things more. I do not know Chinese and have never been in China. I can assure my reader that it is not altogether easy to find the right access to this monument of Chinese thought, which departs so completely from our ways of thinking. In order to understand what such a book is all about, it is imperative to cast off certain prejudices of the Western mind. it is a curious fact that such a gifted and intelligent people as the Chinese has never developed what we call science. Our science, however, is based upon the principle of causality, and causality is considered to be an axiomatic truth. But a great change in our standpoint is setting in. What Kant’s Critique of Pure Reason failed to do, is being accomplished by modern physics. The axioms of causality are being shaken to their foundations: we know now that what we term natural laws are merely statistical truths and thus must necessarily allow for exceptions. We have not sufficiently taken into account as yet that we need the laboratory with its incisive restrictions in order to demonstrate the invariable validity of natural law. If we leave things to nature, we see a very different picture: every process is partially or totally interfered with by chance, so much so that under natural circumstances a course of events absolutely conforming to specific laws is almost an exception. The Chinese mind, as I see it at work in the I Ching, seems to be exclusively preoccupied with the chance aspect of events. What we call coincidence seems to be the chief concern of this peculiar mind, and what we worship as causality passes almost unnoticed. We must admit that there is something to be said for the immense importance of chance. An incalculable amount of human effort is directed to combating and restricting the nuisance or danger represented by chance. Theoretical considerations of cause and effect often look pale and dusty in comparison to the practical results of chance. It is all very well to say that the crystal of quartz is a hexagonal prism. The statement is quite true in so far as an ideal crystal is envisaged. But in nature one finds no two crystals exactly alike, although all are unmistakably hexagonal. The actual form, however, seems to appeal more to the Chinese sage than the ideal one. The jumble of natural laws constituting empirical reality holds more significance for him than a causal explanation of events that, moreover, must usually be separated from one another in order to be properly dealt with. Carl Jung introduction to Wilhelm Baynes I Ching.